It will feature Kurt Culbertson, a longtime leader in sustainable development. 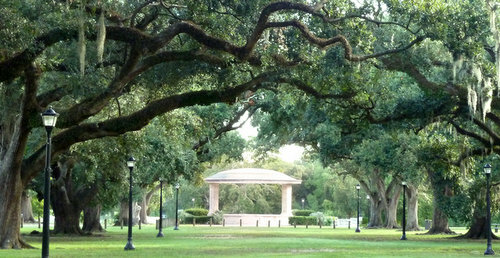 Culbertson, an LSU alumnus, will offer “perspectives gained through 40 years of experience in the planning and design of park and recreation systems and reflections on the application of these lessons to the needs of New Orleans,” the event flier says. Culbertson, the 2016 recipient of the American Society of Landscape Architects’ highest award, is chairman and CEO of an urban design and landscape architecture consulting firm, the Design Workshop. Parks For All is a nonprofit dedicated to the creation, maintenance and beautification of public parks and green spaces throughout the city. Parks For All advocated for the city to commission a citywide parks and recreation master plan as part of the proposed millage arrangement. The Parks For All proposal is incorporated in the Cooperative Endeavor Agreement governing the obligations of the city and the four millage recipients. The forum is Monday, March 25, at 6 p.m. in Propeller, 4035 Washington Ave. It is free and open to the public.